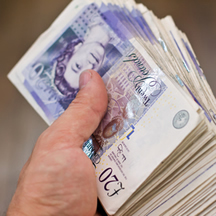 The plan by the government to allow people to sell their annuities for cash would result in poor value due to the risk to buyers arriving at a price for the annuity and potential for fraud against consumers. Last month the government scrapped George Osborne's second hand pension annuity market intended to allow people to sell their annuity for a lump sum. The Treasury came to this decision after consulting the pensions industry, regulators and consumer groups saying that although there would be enough people willing to sell their annuity there were not enough buyers to to make a competitive market. 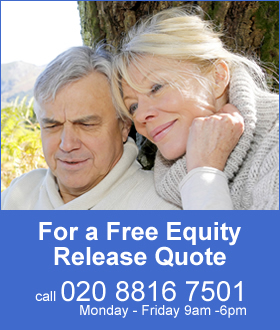 The plan was proposed following the pension freedoms in the March 2015 budget to create more freedom for the 5 million people with annuities and for those that would buy them in the future. In addition the Treasury believed the second hand annuity market could not be balanced with sufficient consumer protection resulting in poor consumer outcomes. The proposed second hand annuity market suffered from a lack of support from providers with Standard Life in February 2016 opting not to take part. In order to work there would need to be an active market of insurance companies buying back their own annuities and sufficient numbers of other buyers competing to buy on the open market. In the end very few companies were willing to support the plan with only Legal & General and Just Retirement open to the idea. There were also a number of uncertainties in the second hand market for the buyer. Firstly how would they calculate the value for the lump sum for the annuity and this could be the original fund less income paid and costs plus tax paid to date. It could mean a fund of £100,000 after three years would reduce to £75,000. In addition when the annuity was bought part of the income would have benefited from a mortality cross-subsidy. This is where some of the annuitants die earlier than expected and part of their fund is added back which helps to increase the annuity rates for other annuitants. If an annuitant leaves an insurance company would underwrite them for any medical conditions which would mean an even lower fund value would be offered. The difficulty calculating the fund value from a buyer and possible high costs associated with the offer could mean people despite for the cash sum would receive a poor outcome. From the point of view of HM Treasury, it was clear that "creating the conditions to allow a vibrant and competitive market to emerge with multiple buyers and sellers of pension annuities could not be balanced with sufficient consumer protection". The Treasury further said "Consumer protection is a top priority for the government, and we are not willing to allow a market to develop which could produce poor outcomes for consumers, such as receiving poor value for their annuity income stream and suffering higher costs".